The Quincy Mine is located in the Keweenaw Peninsula in Michigan's Upper Peninsula. Mining operations have been closed for many years, but the site is preserved as a cooperating site of the Keweenaw National Historical Park. 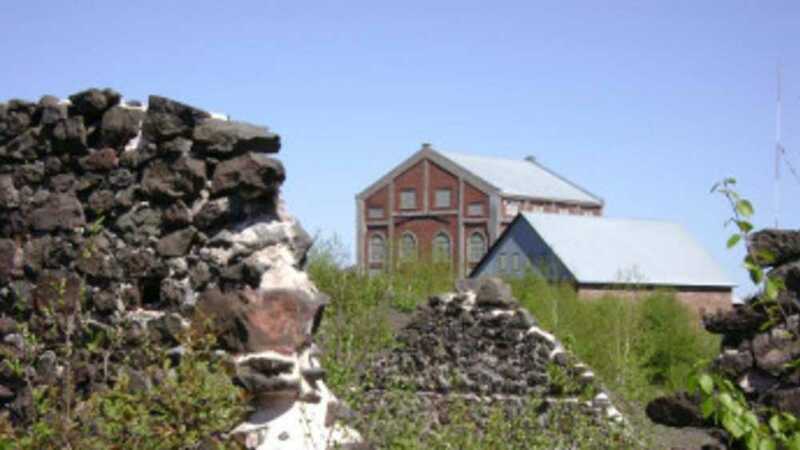 We offer two options for touring the Quincy Mine Site. On both our Surface Tour and our Full Tour, you will tour the Museum(located in the 1894 No. 2 Hoist Building), the inside of the No. 2 Shaft House (which was built in 1908 to streamline processing of material brought up from the deep mine shaft), the Norderg Steam Hoist building (built in 1918, it houses the Nordberg Steam Hoist, the world's largest steam-powered hoist engine which made it possible to extend the No. 2 Mine Shaft 92 levels underground! ), and you'll ride the Cog Rail Tram, which takes you down the steep hill that overlooks the Portage Lake Lift Bridge to the East Adit (mine entrance). On our full tour, you'll get off the tram car and ride by tractor-pulled wagon seven levels underground into the mine. You can wrap up your Quincy Mine Tour by stopping by our Gift Shop where you'll find items such as mining-related books, videos, copper gift items & jewelry, clothing, artwork by local artisans, plus many other mine-related souvenirs! We sometimes have limited hours in the winter holiday season, so call ahead for exact times.